To moon gazers the moonstone may just be the most beautiful of the stones. And, yes, it is a beauty in looks and in its energies. The glorious moonstone alludes to the mysterious and speaks of secrets and hidden truths. There are many colors of the moonstone. Each color has its own specific energy and use. Over all, any of the moonstones will have this singular property in common; it opens the heart to accept love from yourself and from others. Now that’s a lovely thought, right? In the realm of career work moonstones can be used to by various professionals to enhance the work. 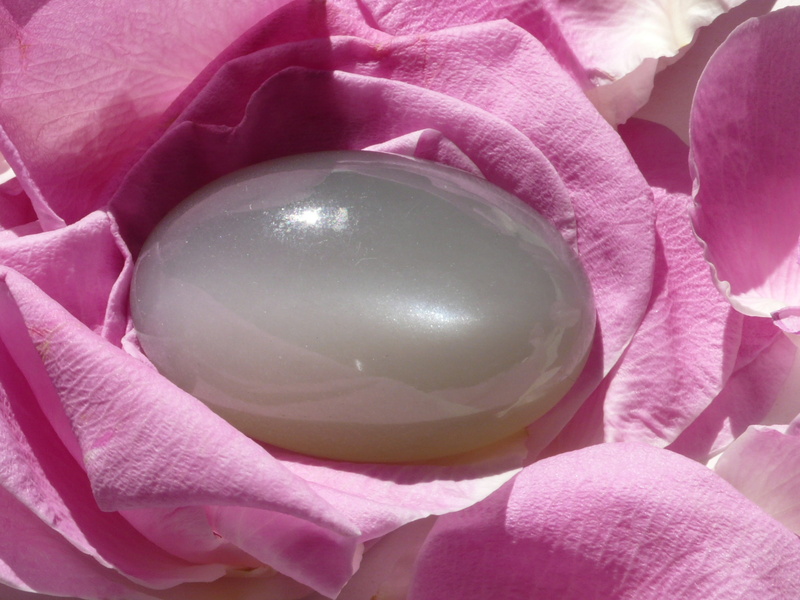 Artists and dancers can use moonstone to release their self-expression. For educators it can enhance their creativity especially in the area of sharing activities. Executives will find that the heart opening energy of the moonstone will infuse their duties with compassion. Counselors will find an increase in their sensitivity and empathy. And waiters/waitresses will become more self-accepting. Blue: Reveals life lessons and emotional patterns, clears the mind and promotes focus. Gray: This color is also called the New Moon Stone, this is a very shamanic stone helping you to see past the veil into the other side. The gray moonstone reminds us of the potential within. White: If you are in the midst of dreamwork, this is the color moonstone for you. Promotes visions. It is also the color of passion in the realm of moonstones. It heightens a woman’s kundalini energy and balances the emotions of males. This is also the color to choose if you have a child or know one that is having trouble with insomnia or nightmares. Peach/yellow: Supports the heart and emotions, stimulates the mind and intellect, and soothes anxiousness. Carrying this stone with you will bring out your very best side in all aspects as it promotes the Divine that is in you. For intuitive or sensitive children, the peach moonstone will offer comfort and a feeling of safety. Rainbow: The rainbow moonstones acts as an energetic prism. It diffuses energy, deflecting negativity and easing emotional trauma. It also aids in lucid dreaming. This particular stone is aligned with the Goddess and connects one with the spirits of Nature. The physical healing properties of the moonstone are just as impressive as all the other energy it exudes. This stone is used to aid the digestive process. It promotes nutritive assimilation so that you get the most out of the good food you eat. This is also a perfect stone for growing children and essential to females of every age. I do hope that, if you don’t already have one, that you are able to purchase a moonstone very soon. Sweet, delicious scent. Tropical in all of its aspects. That is the Plumeria. This is a beautiful plant whose blooms are nothing short of awesome. My granddaughter, Emma, calls it the sunscreen flower. She says it smells like sunscreen and she loves sunscreen. I think it smells of honeysuckle and rose. The plumeria, also called frangipani, is a tropical plant. In that climate, the plant foliage is lush and green and abundant in beautiful blooms. Here in West Kentucky, they bloom only when the summer is very hot and humid. So, not every summer am I blessed with blooms from my lovely plumeria. However, this summer has been pretty nice so far! Now, if the plumeria just bloomed, looked beautiful, and smelled heavenly, that would be enough. That is not the totality of what a plumeria is, not at all. This lovely plant has medicinal benefits also. The stems, leaves, and roots have antibacterial properties. All parts of the plant can be used to lower blood pressure, relieve stress, and help fight depression. The leaves can even be used as a wrap for muscle aches. The essential oil of the plant is often used in beauty products because of its age-defying properties. It is full of anti-oxidants, so it is double effective at anti-aging. The oil is used, also, in conditioning hair products. 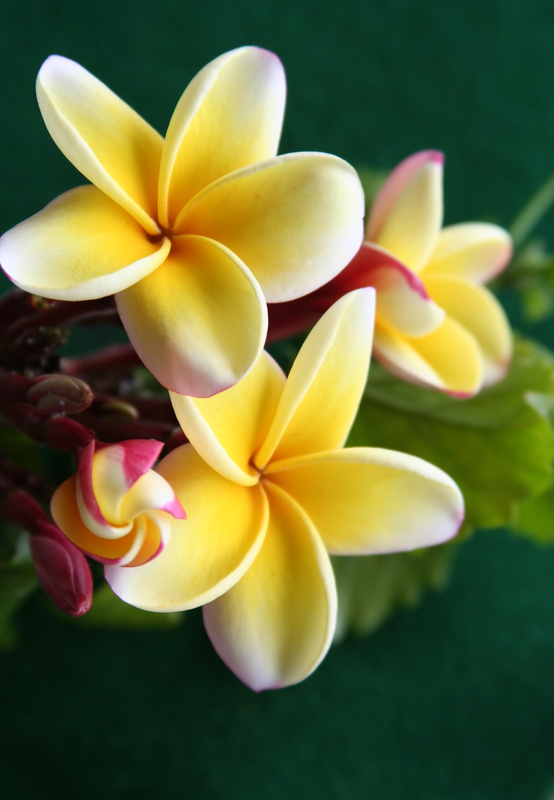 As for the magickal uses for plumeria, well, of course, it is used in love potions and spells. The scent alone is enough to draw good people and good things to you. And speaking of drawing, use plumeria to gain the trust and confidence of others, or in spells to draw success and fortune. When the shaman card comes up, it is time to re-evaluate your spiritual path. Are you following the path that was meant for you or are you following the path that someone else chose for you? This is your time to go within and make sure that your spiritual self is in balance. The kind and compassionate shaman is a healer. Above all else, through his/her ancient healing wisdom, the shaman knows that spiritual balance is a must in order to heal the physical and/or mental ailments. Shamans have the unique ability to travel beyond the realm of our natural time and space. They rely heavily on their spirit helpers, i.e., Guardian angels, ancestral spirits, etc., to aid in the healing of their patients. Perhaps this card showing up in your life right now means that you are feeling a spiritual tug to follow the shamanic path. If so, take some time to explore that possibility this week. Whether or not you become a shaman, know that in order for healing to begin, you must be in balance in your spirit. You should feel at one with your version of the Creator. As you begin to find that balance, you will certainly notice that other areas of your life are falling into place. From the Earth Magic Oracle Cards by Steven D Farmer, Ph.D.